WHY DO ROSE GERANIUMS SMELL LIKE THAT? of geranium plants. These hairs produce the essential oils that give the geraniums their distinctive odors. the rose scented geranium (Pelargonium cv Rosé) are listed in the table on the next page. of rose oil and is much cheaper to produce) there are many studies available. nutrition of the plants and probably other factors. 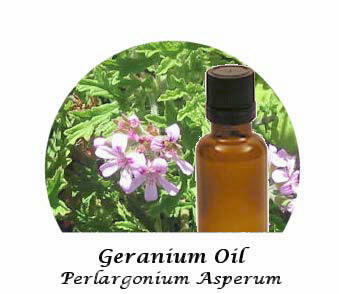 hand, geranium oil varies from £4.87 to £8.78 (for Bourbon oil from Reunion) for 10 ml.